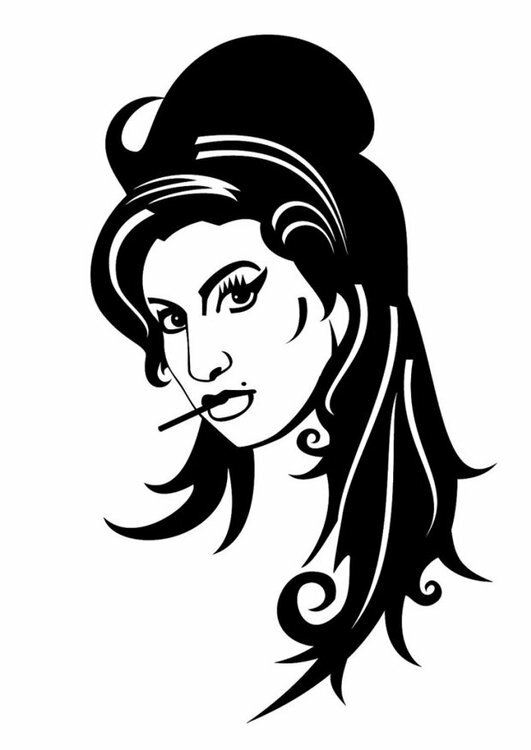 ﻿ Kleurplaat Amy Winehouse - Afb 24677. If you use this image, please give credit with a link to Vectorportal.com. This file is licensed under the Creative Commons Attribution 2.0 Generic (CC BY 2.0) license.